I had been craving something with Greek flavors and especially a pasta dish and we had some tomatoes we needed to use so I looked through my saved recipes (I have about three lifetimes worth) to discover one from Taste Of Home which sounded almost perfect but I adapted it a little to suit our taste and ingredients – we prefer tossed vs. baked for most pasta dishes. 1. In a 12” sauté pan, with some olive oil, cook the onion and green pepper until soft, then add the garlic and cook until fragrant. 2. Add the spinach and sauté until well wilted and most of the liquid is gone. 3. 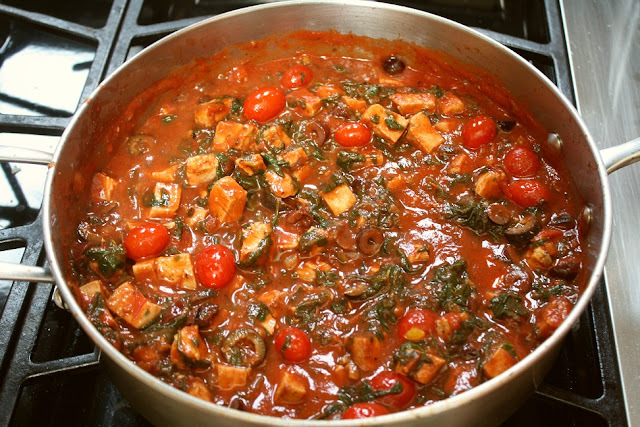 Stir in the tomato sauce, diced & grape tomatoes, chicken, herbs, olives, and S&P to taste and simmer about 20 minutes. 5. Add the sauce to the pasta cooking pan along with the cheeses and toss until well combined. 6. Plate and top with a little more feta. 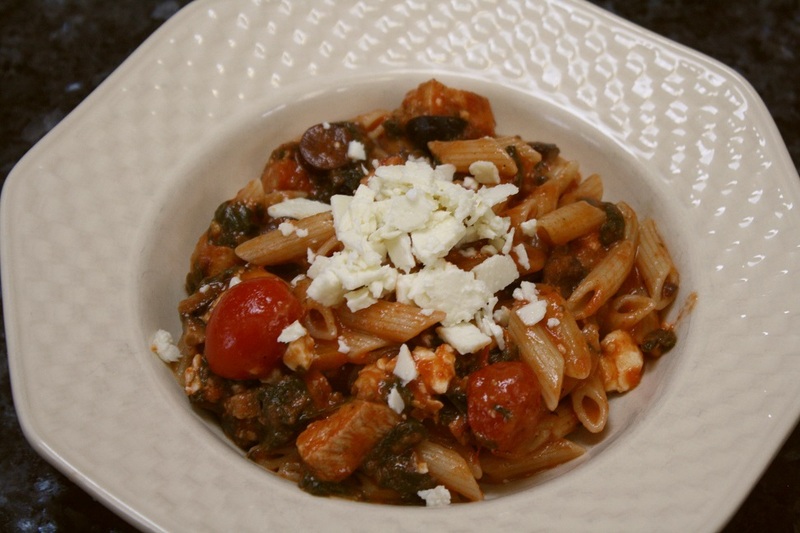 We served it with a Caesar salad for a delicious meal – this was definitely a keeper pasta dish. Over the past year or so, our wine club seems to have morphed into a supper club with wine playing a very diminished role and the entrée, provided by the hosts, becoming the star of the evening. Since I haven’t cooked BBQ in a while, we decided it would make a good entrée and theme, but it is beyond hard to come up with your wine pairing for the BBQ. We provided ABT’s (stuffed jalapenos) as an appetizer, slaw as a side, and pulled pork, ribs, and brisket as the entrée. My last post was for a Beef Oscar dish and we had some leftovers that just screamed to be made into breakfast. So I added a little butter to a skillet and tossed in some of the chopped asparagus and crab meat, shortly followed by a nice scoop of the Bearnaise. 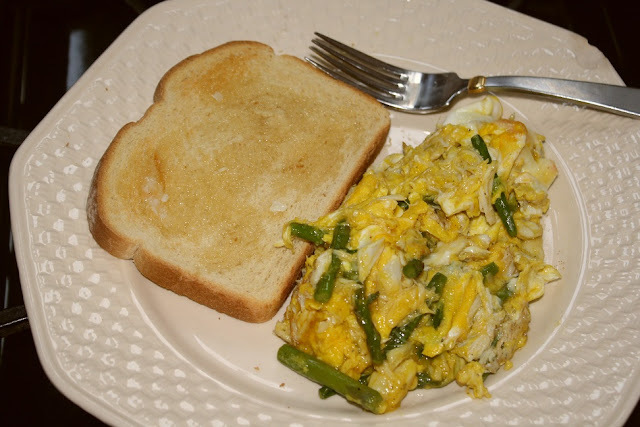 When the sauce began to melt, I added a couple of well beaten eggs and scrambled into soft curds. It wasn't an inspiring photo, but sided with a slice of buttered toast, it made for an excellent breakfast.